Gas shareholders, beware. It’s a good many years since Mr Murdoch was proudly showing off the fuel of the future, lighting up his small world in Redruth. Now, they’re saying that - come the 20th century - it’ll be electricity everywhere. In Falmouth, the street lights in the centre of town are already electrically powered. Not likely here, mind – too much investment in gas by too many of the leading men, if you ask me. 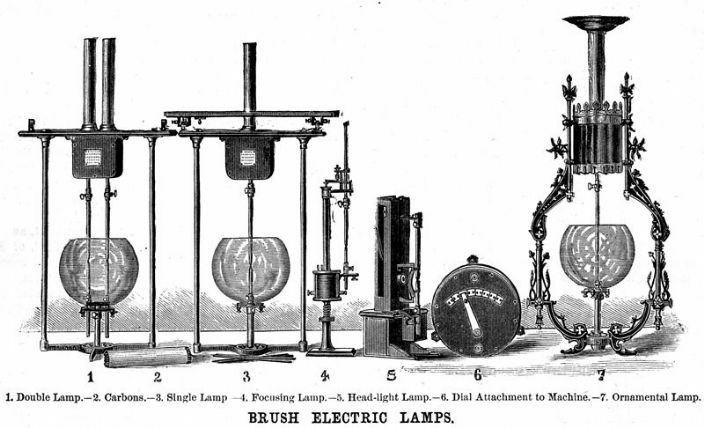 In Parade Street, Mr William Perry’s establishment is to be electrically lit. It’s already fair to describe him as the “well-known provision merchant and fish curer”, but this will put his establishment even more firmly on the map. And there’s quite a crowd here to see the switch-on. He’s installed an arc light to show up the whole front of his house, and five incandescent lamps for the shop itself. 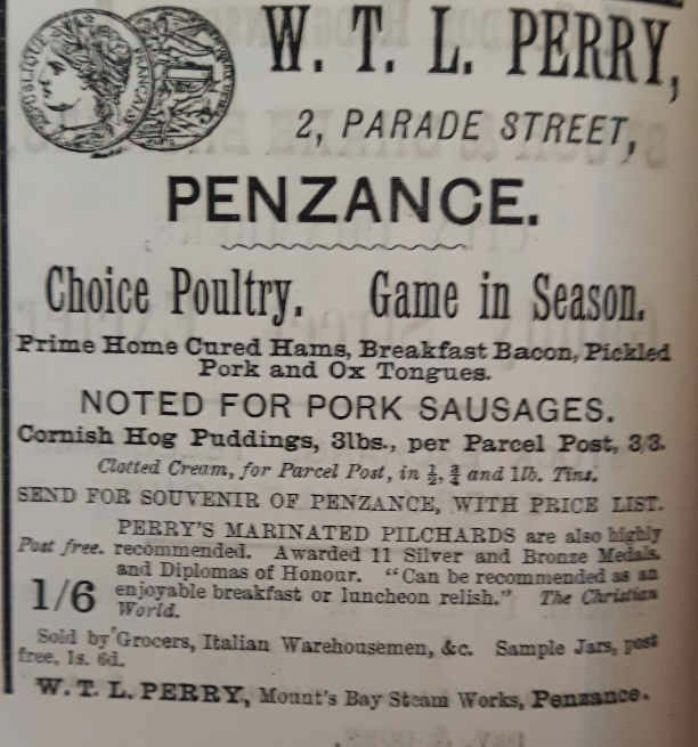 So this autumn – and particularly, looking ahead a little way, at the Christmas season – everyone will be able to see the delights he has to offer: the pickled pork and ox tongues, the hog puddings – and most of all Perry’s own marinated pilchards, produced at his steam works down on the seafront, and recommended by no other than the Christian World. Now Mr Perry has a sound business sense, and he certainly isn’t a man to go buying in unnecessary equipment. He may be one of our pioneers of electricity but (if you’ll pardon the pun) there’s nothing flashy about his establishment – nothing at all. So he’s using the same power he’s already had installed to run his business. He’s adapted it for lighting – no new cables required. True, the light isn’t exactly as it should be. Some of the chaps in the know were pointing to one of the pulleys as the source of the problem. But Mr Perry’s an enterprising man. In no time, the pulley will be fixed, and in Parade Street can look forward to autumn evenings – choosing their groceries and smoked fish as if by the light of day.